The Final Night Gala is the finale to not only our Summer Las Vegas, but our entire PULSE, Camp PULSE and Open Call Season! 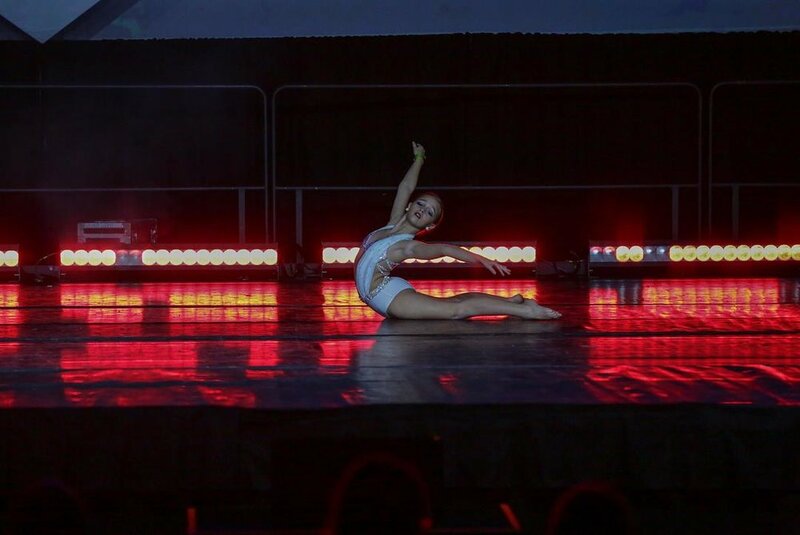 Filled with surprises and special guests, the show will also showcase dancers from our private Faculty Invitationals, our Protégé Program, Counselor Program, Principal Lead Role Winners, Guest Performances and the top routines from our Battle Royale Finals! We will also be announcing our Elite Protégés and Lead Camp Counselors for the 2018-2019 Season. The Opening and Closing Number is an opportunity for select dancers who have performed in our Open Call Competition on Tuesday afternoon to be chosen to perform in a piece that will open/close the Final Night Gala. Our judges will choose their top performers and place them into either the Opening or Closing Number. The PULSE Summer Gala Invitational is an extraordinary workshop, where selected dancers have the opportunity to work with one of our world-famous choreographers in an intimate classroom setting, where they will learn a piece to perform in the Final Night Gala. The Protégé Program and the Camp Counselor Program are both opportunities for dancers to train with our world-renowned choreographers in every regional city with free tuition for a full calendar year! These dancers have the opportunity to work with the staff in order to gain perspective on all avenues of the dance industry. Dancers are selected in each level during all of our tour stops. During our Summer Las Vegas event these dancers will be competing for the title of Elite Protege and Lead Counselor, the highest honors at NEX•US + Camp•Nex! Elite Protégé and Lead Counselor are the highest form of scholarships we offer at NEX•US + Camp•Nex, traveling the country as assistants for our amazing faculty. Eighteen lucky dancers are chosen. We handle all travel arrangements and accommodations for select dancers. These dancers truly become part of our family. Becoming a Elite Protégé or a Camp Lead Counselor is certainly a once in a lifetime experience! Our past Elites and Leads can be seen dancing and working on today’s hit TV shows, movie sets, and hottest recording artist's tours. Our Principal Lead Role competition will be held during our Battle Royale Finals on Friday night for those soloists that were awarded Lead Role in a regional city. Our Principal Lead Role winners will have a photo shoot and will be featured on our website, social media, and marketing materials and will re-perform for the first time as a Title Holder during our Final Night Gala! All Battle Royale Semi-Finalists from our 2017-2018 regional tour will compete on Friday night in our Battle Royale Finals in front of ALL PULSE & Camp PULSE Faculty. The winners will receive the ultimate cash prize and the title of our Battle Royale Finalist and will showcase their piece again during the Final Night Gala.